Sorry! 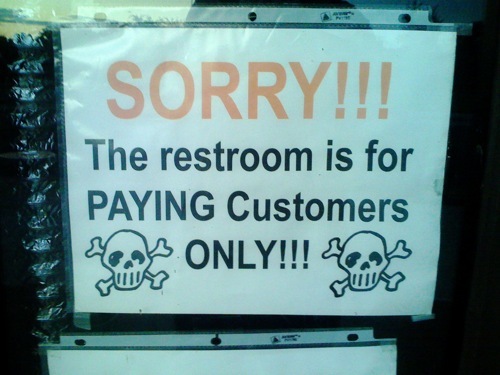 Restroom is for Paying Customers Only! haha… i think the owner got fed up of people using the restrooms for free.